They do good work in a timely manner. They tell you when they're going to be there and in what time frame. They do what they say they're going to do. They come back if there are any problems and they fix them. They have good follow up. I thought they were very professional, and the technician’s did what they said they would in the amount of time we needed. We have continued hiring them for maintenance, and they’ve kept the yard healthy, even replacing a few things. I felt really secure about their work, and the design looked exactly like it was supposed to. They're very reliable and accommodating. We had to change the scope of our project, and it was not a problem for them. They kept us informed about when they were coming and going and what they were doing. As a result, we also signed up for their maintenance program. We’ve been very happy with their work. It was very helpful to be able to go to their showroom to see the different materials installed. They spent time with us looking at the different choices, so we could get a good idea of what the choices would look like in our yard. The final product was great. 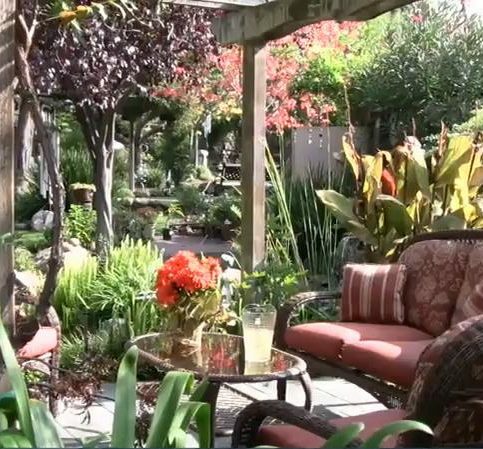 Hansen Landscape Contractor provides landscape installation, design and consultation services (with a specialty in water-wise designs) for residential clients in the Greater Bay Area. Its team of landscape construction professionals are trained to handle both minor and major projects, from gardening to installing drainage and grading systems. 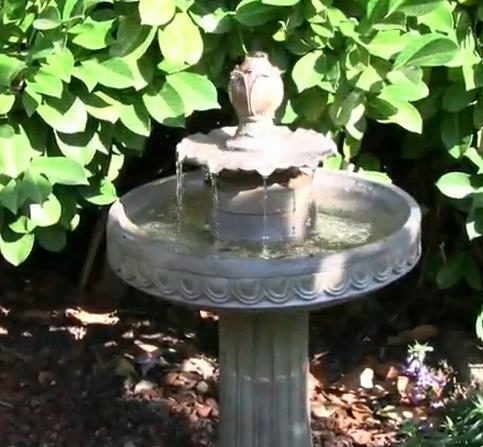 The company also works on sprinkler and lighting systems, handles concrete work (including stamped concrete), builds ponds and waterfalls, prepares soil, and offers general landscape management and maintenance. 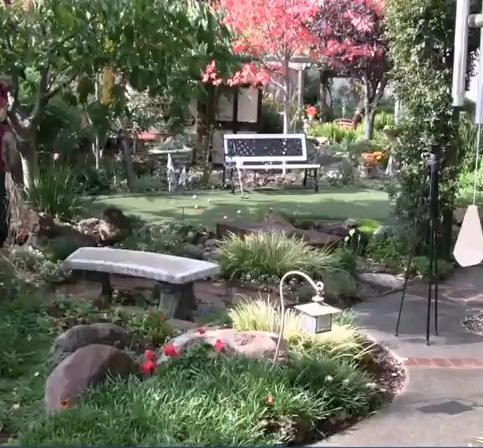 Hansen Landscape Contractor has been designing and installing landscapes for Bay Area homes and businesses since 1978. The family-owned and operated company’s work includes grading and drainage, sprinkler and irrigation systems, lighting, concrete work (including stamped concrete), ponds and waterfalls, decks and patio covers, soil preparation, planting, gardening and follow-up care. 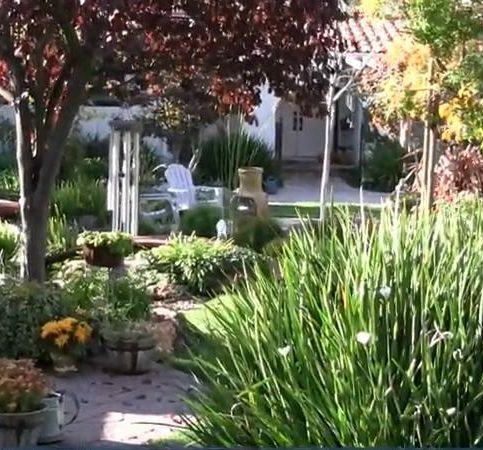 “We also do full-scale renovation projects where we come in, tear everything out and remake the landscape,” adds Mr. Hansen. 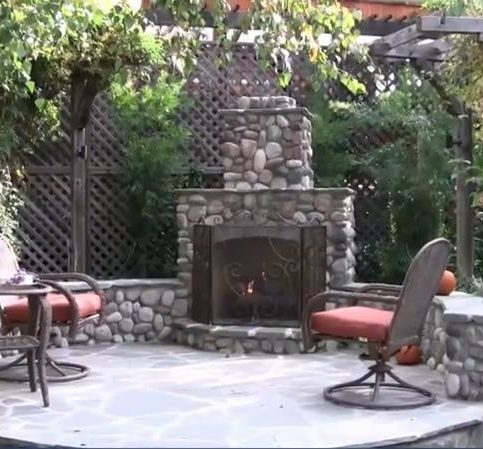 When taking on a landscaping project, it’s essential to synchronize design and installation. 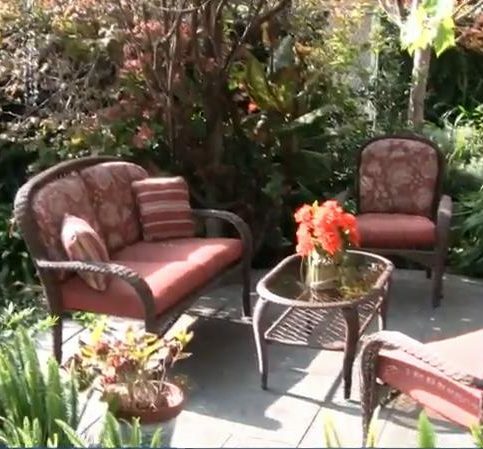 Landscaping can be divided into three broad categories: design, installation and maintenance. If your project requires all three, it’s best to choose a company that can handle everything under one roof instead of a solo designer that has to use subcontractors. 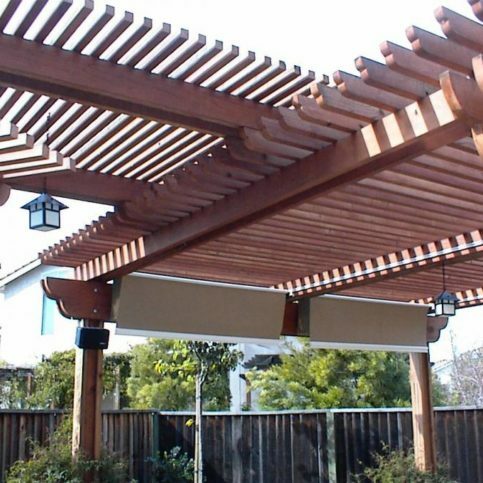 “That way, the installation work is in line with the spirit of the design, and the plan can be tweaked to meet the realities on the ground without incurring additional design costs,” explains Steve Hansen, owner of Hansen Landscape Contractor in Castro Valley. Q: Do you work on small projects? A: Yes. We don’t have a minimum project size. We’re happy to do something as straightforward as installing a new lawn, sprinkler system or tree. A: Ninety percent of our work is done by our own employees. We do subcontract for certain specialty tasks like concrete work, but all our subcontractors are licensed, bonded and insured. We’ve worked with them for years, so we know they’ll provide our customers with high-quality products and services. 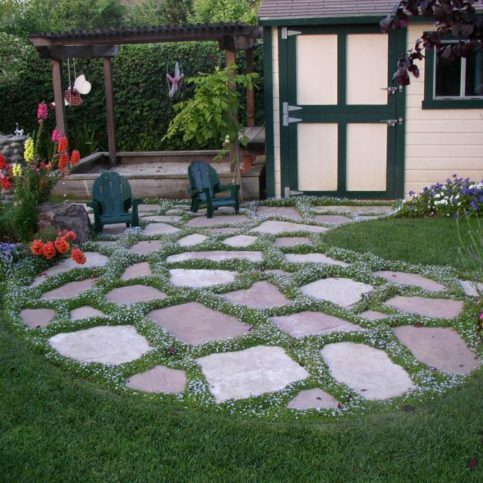 Q: Do you provide landscaping plans that are required by homeowners’ associations (HOAs)? A: Yes. We’ve worked with many different HOAs over the years, and providing plans for their approval is a standard part of our job. Q: How long does it take you to install a landscape? A: That varies with the scope of the job, but most of our landscape installation projects take between three and eight weeks to complete. A: Yes. We’re happy to educate our customers about project costs so they can establish realistic budgets. We do, however, have to charge for the design work itself. Q: Do you provide maintenance and after-care for your projects? A: Yes. We have a separate division called My Gardener that provides routine gardening and maintenance services. 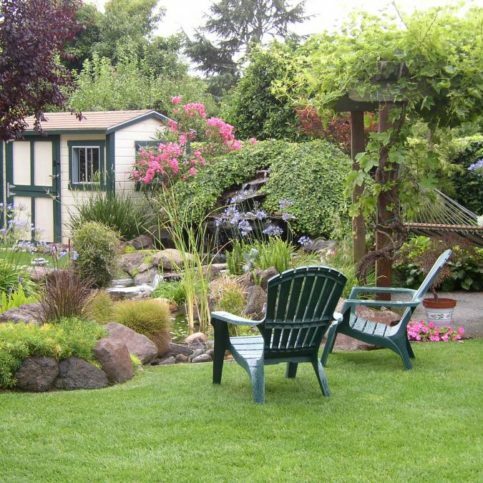 Hansen Landscape Contractor provides landscape installation and design services. Hansen Landscape Contractor also handles concrete work. 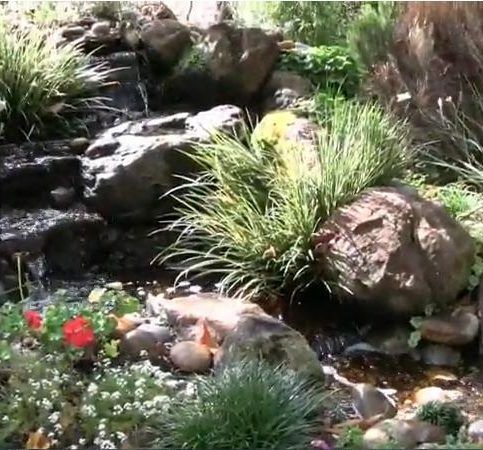 Hansen Landscape Contractor builds ponds and waterfalls. 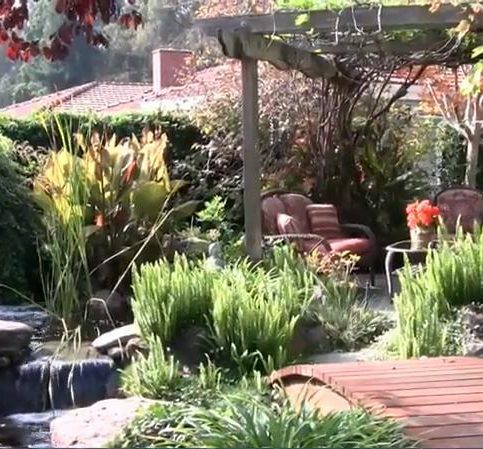 The company provides landscape installation and design services. 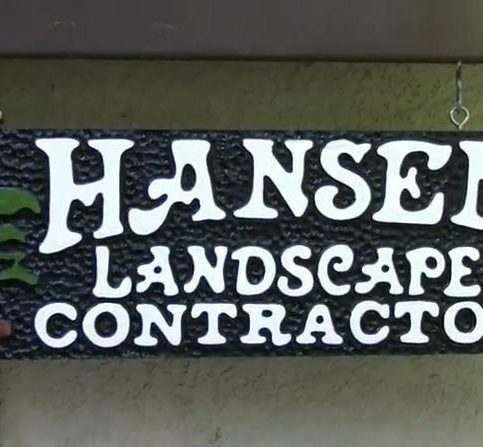 Hansen Landscape Contractor : Average 9.1 out of 10 based on 295 unique customer surveys of customer satisfaction. One-stop shopping, they do everything from design, lighting, drip systems, pots, and getting the plants. Their attention to detail is wonderful. They were neat and cleaned up after themselves. They were speedy and arrived on time. The supervisor was fabulous. If I changed my mind about something, he went with it. He was terrific. Accessibility, if I had a question, they responded quickly. We had a number of technical issues, and they did it really easily. Very professional, great job, and the people are extremely nice and helpful. The planning, as I trusted them to do what I told them to do, and they did a very fine job. They are upfront with what they are going to do and what the costs are. They are professional, they have enough people to do the job, and they are just wonderful. A number of years ago, we called them with questions, and they came out, answered all of our questions, and consulted us, but we didn't follow through at the time. 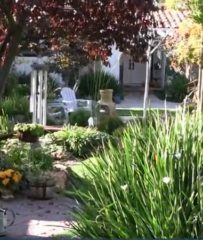 When we decided we needed a landscape contractor, we contacted them, because of how wonderful they were back then. They handled a pesky neighbor very nicely. They were very conscientious, did good work in a timely manner, and I'm am really satisfied. We had to have a paver-driveway replaced. They removed each paver and stacked them up. We numbered them and then put them back exactly how they were before, without having to cut not one. They all went right back into place. They are very reliable and professional. I have the most beautiful yard due to their craftsmanship. We didn't have a clue of what we wanted. They provided the information, and we went with it. We are 100% happy. They are professional and quick in delivery. They came in and got it done quickly, which is another wonderful aspect of their work. It has been a few years, and we love it just as much today. They do a good job. I had input on what I wanted, and they listened. They were efficient, started when they said they would, and ended within a sufficient amount of time. They do great work, have great communication, and good service all the way around. Their prices are a little bit higher than others, but the outcome is so good that it is worth it. They looked at options, reviewed them, and provided professional opinions. It was hard to tell that work had been done afterwards. They put everything back perfectly in place, so you couldn't even tell. I'm very satisfied. He does excellent work but a little pricey. He was prompt and communicated what we wanted done. The work was great. I have recommended them several times to friends and actually other landscapers looking for employment. 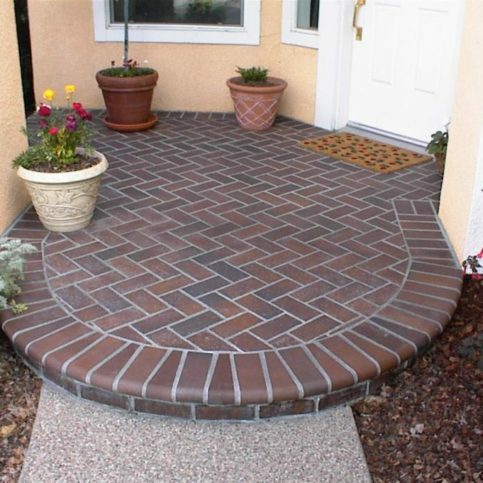 They have great work skills and are proficient in all aspects of landscape. We used them for the design and the construction and it was completely redone. Their design was very creative and the materials they used really expanded the living space. The workers were great and the workers cleaned up everyday. They are very professional and the workers are all so nice. I was also so pleased that they cleaned up everyday when they were done working. They are very approachable and want to please. They provide a lot of follow-through. They may be expensive, but it is worth every dime. You can talk to them and they will give you an answer. If they don't have the answer, they will get the information and get it to you immediately. They are punctual and creative. They have a clean crew.